Folks, this handbook (downloadable PDF) is an invaluable aid in using Fuji’s Auto Focus systems. After the recent upgrade I am sure you’ll all want to get more specifics on just how to use these systems effectively. 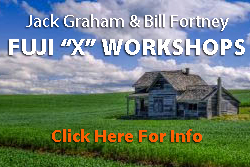 Previous PostFuji XT-1 firmware upgrade coming late June 2015Next PostWhat is a Fuji Workshop? I have never imagined any camera company putting forth this much effort. I need to absorb this. I need to shoot these and commit them to memory. Thanks Jack!